Eleftheria (Diamantopoulos) Bayides of Watertown passed away on Apr 3, 2019. She was the beloved wife of the late George E. Sr. 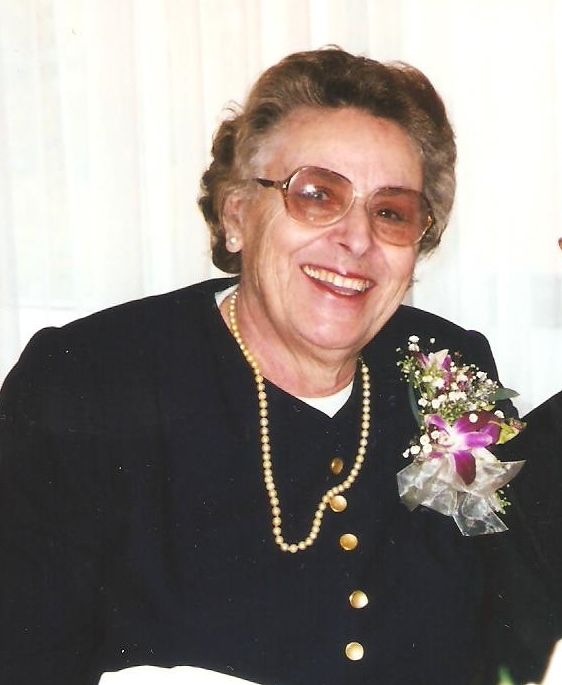 Devoted and loving mother of George E. Jr and his wife Phoebe of Framingham, Irene G. Vafides and her husband Harry of Marlboro, ­­­Effie S. Sidiropoulos and her husband Alex of Watertown and Ruth M. Bautz and her husband Bernie of Southboro, and dear YiaYia of 12 grandchildren and 4 great grandchildren. Sister of Alice Ferjulian of Hudson, and the late Haralambos Diamantopoulos and Jacavos Diamantopoulos. Relatives and friends are invited to attend her funeral service on Mon Apr 8 at 10 AM in the Greek Evangelical Church of Boston, 1115 Centre St Newton Centre followed by interment in The Gardens at Gethsemane in West Roxbury. Visiting hours will be in the Eaton & Mackay Funeral Home 465 Centre St. Newton Corner on Sun from 3-8 PM. In lieu of flowers, donations in her name may be made to the Alzheimer’s Assoc. 309 Waverly Ave. Waltham MA 02452 or the Greek Evangelical Church of Boston.